The greater Portland area is well known for its natural beauty. Parks and natural spaces under the jurisdiction of Metro are protected and developed so that people from all areas of the community have access to enjoy nature. In 2013, voters approved a 5-year levy, which raises nearly $10 million per year for Metro to use towards the regional parks and natural areas. As important as the local natural spaces are, there is a continual need for education and conservation programs aimed at spreading the word amongst the community in support of regional goals. The most effective way to grow a community’s appreciation for their environment is to provide opportunities to engage with and explore nature. Metro will be more effective if they have an understanding of the needs and interests of all community members living in the region. 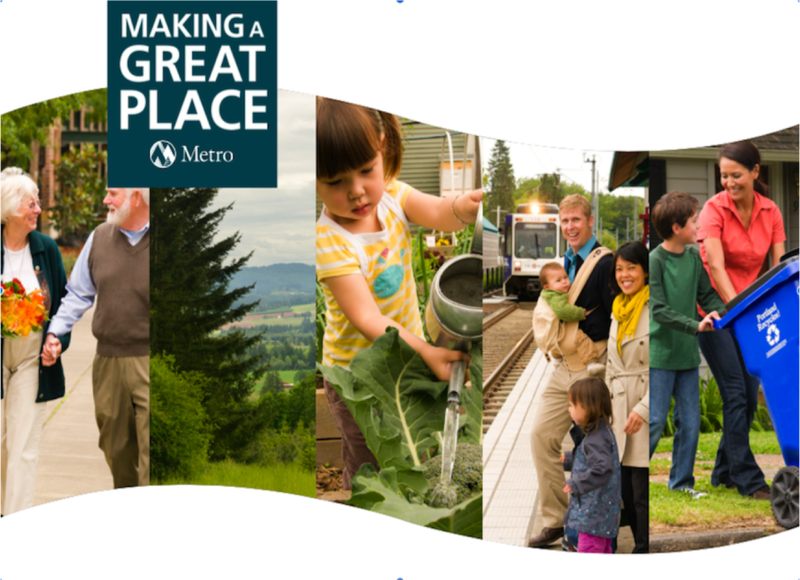 Metro was established in 1979 and serves Clackamas, Multnomah, and Washington counties - 25 cities in all. Metro oversees 4 visitor venues - Oregon Zoo, Convention Center, Expo Center, and Portland’5 Centers for the Arts. They are responsible for policy making; planning and overseeing the parks, trails, natural spaces and historic cemeteries; transportation; solid waste & recycling; planning land use & development; and providing regional research (travel demand, air quality, and land use forecasting) and custom mapping and analysis. As a result of the 5-year Levy, Metro has been able to use the extra funding to support Volunteer Services staff in the process of re-evaluating the effectiveness of their programs. They began by conducting a survey of their current volunteer pool, in order to understand who from the community is volunteering, and why they believe it’s important. The results of the study show that there are several groups from the region that are not currently engaged in volunteerism at Metro. Men, people between the ages of 18-26, Hispanic and Latino community members, and people who speak Spanish were all underrepresented in comparison to the regional population. Volunteer Services staff are in the process of expanding all volunteer programs within their parks & natural spaces department. They are searching for ways to more effectively engage underrepresented populations within our community with the goal of creating more inclusive and equitable programs. Our project focus is to perform 12 informational interviews with key partners to inform Volunteer Services in their effort. These are the organizations that participated in our project. Follow each link to discover the wonderful services they provide! 1. So that I have a more comprehensive understanding of your organization, I would like to know more about your volunteer base and the community that you serve? 2. What does volunteerism look like within your organization? 3. Which demographic groups have you had the most success in creating volunteer relationships with? 4. Have any barriers been present in recruiting volunteers from underrepresented populations? How has your organization addressed these challenges? 5. Some barriers may come from within the organization itself, how does your organization address this issue? 6. Metro is looking for feedback on how to create a sustainable system that encourages and nurtures a “habit of volunteerism”. What approach do you find works the most effectively in engaging volunteers in a longer-term relationship? 7. How does your organization support social cohesion amongst your volunteers? Would you be interested inlearning more about opportunities at Metro that may support teambuilding efforts? 8. What specific feedback would you or your organization like to share with Metro? Are there any other ways you believe Metro could improve its approach to creating more equitable volunteer programs? I have benefited greatly from my experiences so far; however, this project did prove quite challenging. The first challenge came from my own insecurities as I prepared to connect with professionals from a variety of different organizations. I realized that I was intimidated because they know so much more about the topic than I. A friend pinpointed my feelings of inadequacy with "You don't have to be an expert!" My second challenge was learning how to connect with people who would be motivated to participate. After a few weeks of no return calls and going straight to voicemail, I realized that the list of contact information Metro provided was mainly that of each organization's directors - and they are beyond busy. I have had a much higher rate of replies once I began to contact volunteer coordinators instead. Lastly, time constraints have been an issue because of the type of project I dedicated to. Creating my questionnaire and email correspondence letter, adjusting it to gather more attention several times, and connecting with the right people has taken a lot of time. I was not able to reach my goal of 12 interviews by the end of Winter term; however, I am getting closer and I plan to continue my work until it is finished with the goal of wrapping up by the end of March. The interviewing process has been exciting and I have enjoyed learning about each organization that I have connected with so far. I have been pleasantly surprised to see how gracious all of my contacts have been! I know that I am new at interviewing and learning to network efficiently, but each person I interviewed was extremely helpful and supportive. I have had the opportunity to push myself out of my own comfort zone and to persevere. Ultimately, I realized that I really am excited to be involved with a project like this one and look forward to gathering all of the results and presenting it to Metro!